Can We Guess What Ring You'd Have Based On Your Star Sign? Which group does your star sign fall into? Which words describe your personality? If you're Capricorn, Taurus or Cancer this is the ring for you. The serene green colour of this precious stone may be the perfect thing to cancel out your sensitive nature. If you're an Earth sign like Aries, there's only one perfect ring for you and that's a diamond! They'll shine bright just like your love for your partner. If you're an Aquarius, Sagittarius or Aries Amethyst is the perfect ring for you. In Greek mythology it's believed that the amethyst stone protected its owner from drunkenness. So it may save you from yourself from one to many on your actual wedding day! If you're a Gemini, Virgo, Libra you should try a sapphire ring. It's dark and mysterious just like you at times. What could be better suited to a Cancer or Leo than a ruby ring to match your fiery personalities? Leo's are ones who like to stand out form the crowd. You'll definitely turn heads with this black onyx and diamond ring! 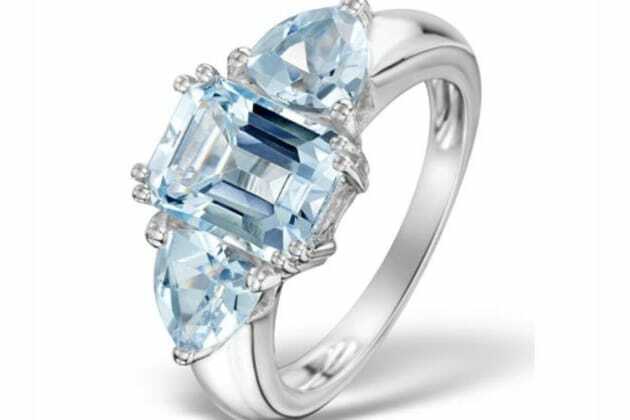 Water signs like Pisces would be suited to a turquoise ring to reflect your zodiac sign. You're known to be deep and emotionally sensitive creatures. Zodiac signs can tell a lot about your personality, especially your taste in rings! Which stunning piece of jewelry will you be hoping to find in the box when your loved one pops the question?